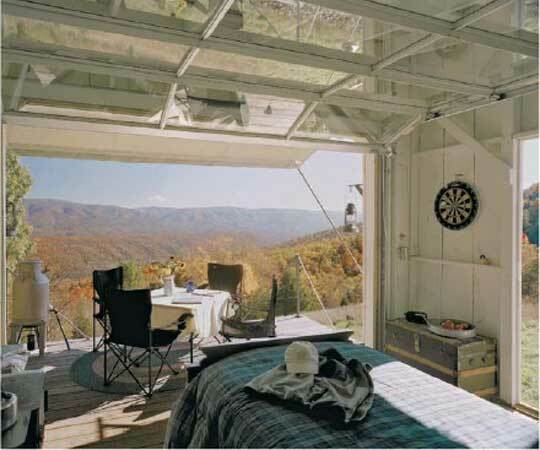 Whether you’re a die-hard proponent of small-space living, looking to build a simple starter cabin, or want to build a guest bunkie, going small doesn’t mean you have to compromise style or comfort. This roundup of tiny cabins proves it, starting with the one above. 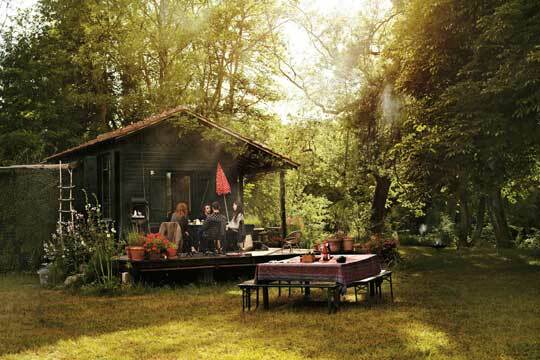 Called “Le Shack”, this small cottage is just 35 miles outside Paris, but you’d never guess it. 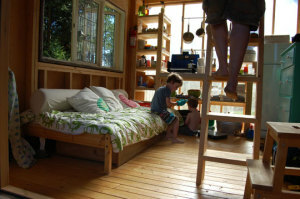 Sleeping happens indoors, and eating and living spaces are outdoors. It’s the perfect weekend getaway. This great little space was built in just four days at a cost of around $10,000. 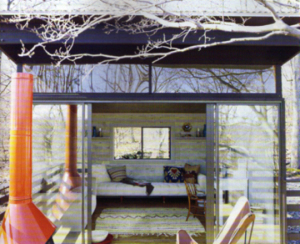 The footprint is only 144 square feet, but it’s big on style. Ever so slightly larger, this 180-square-foot cabin houses a family of four and their dog, believe it or not! (Admittedly, it only does this on weekends.) It was built in ten days at a materials cost of around $7,000. Perched on the side of a hill, the architect who spends time here built it “using products pulled from the shelves of a home-improvement retailer.” Imagine waking up to that view in the morning!